Despite the fact that you can learn your credit score from a wide variety of sources, including numerous free apps, it turns out that nearly 30% of American consumers don’t know their credit scores. At the same time, whether you know your three-digit score or not, chances are good that if you have bad credit — you know it. What’s more, you probably learned about it the hard way: by being rejected for credit. When the prime lenders won’t give you the time of day, those with poor credit turn to subprime lenders for financing options. In auto lending, loans from subprime lenders are often referred to as “second-chance loans” because many who take out subprime auto loans do so after being rejected for traditional auto loan options. Subprime lenders tend to have more flexible credit requirements and a higher tolerance for risk. That tolerance isn’t cheap, however; subprime credit products will charge higher interest rates than prime products charge, and they may have additional fees. It’s in your best interest to shop around for the best rate when looking for a new credit product, and a good rate can be especially important with a purchase as pricey as an automobile. One of the easiest ways to get loan quotes from a range of lenders — without schlepping from bank to bank — is to use an online lending network. Often connecting hundreds of lenders from across the country, lending networks remove geographic limitations that would otherwise get in the way of finding the right deal. Lending networks are also simple to use because you only need to complete one application to apply to multiple lenders, giving you not only a second chance, but a third, fourth, and fifth. You can apply to any of our favorite providers in three minutes or less. Although you should always be cognizant of how many credit applications you fill out due to the credit impacts from repeated hard inquiries, you can rest easy while rate shopping for your auto loan, provided you obtain your quotes around the same time. For example, at a minimum, FICO provides 14 days to apply for loan quotes, during which time all of the resulting hard inquiries will be treated as a single inquiry when calculating your score. The first step in obtaining an auto loan of any kind, including a second-chance loan, is to know which car you want. 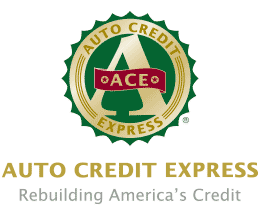 Auto loans are secured loans, which means the automobile you purchase acts as collateral (security) against default. This means the lender will want to know the condition and relative value of the vehicle you wish to purchase to ensure it will have a viable way to retrieve its money if you can’t repay your loan. If you have yet to select a vehicle and simply want to get an idea of your price range, many lenders will offer pre-qualification. This typically uses a soft credit inquiry to gauge your general creditworthiness, then provides an estimate of the size of the loan you would likely be offered were you to apply. 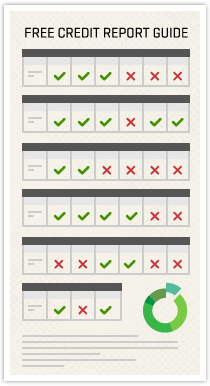 While pre-qualification isn’t a guarantee of a particular amount, it can be a good way to gauge your options. Lenders will request basic identifying information, income and employment information, as well as details about the vehicle you wish to finance. 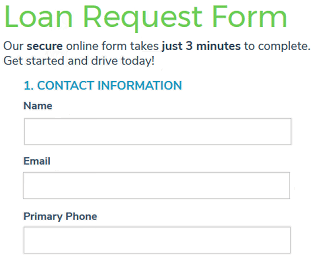 Once you’ve selected a vehicle, you can fill out your credit application to obtain quotes and terms. If you’re using an online lending network to find a lender, this step can be completed in minutes. Most lenders will ask for personal information, such as your name and address, as well as income information. You’ll also need to provide details on the specific car you want to purchase, including make, model, and year. The two main types of lenders you’ll find in the auto financing market are bank lenders and dealer lenders. Bank lenders are banks and credit unions that directly finance your loan, just like any other type of credit from a financial institution. Dealer lenders are vehicle dealerships that finance purchases from their own lots. Dealers may finance the loan directly or partner with a third-party bank to provide financing for consumers. After you’ve obtained quotes, you can start to compare terms. The interest rates you are offered will depend primarily on your creditworthiness, but will also be influenced by the size of the loan and any down payment you make. For instance, those who are turned down for a large loan may have better luck with a smaller loan, and should consider making a down payment or trade-in to decrease the size of their loan. 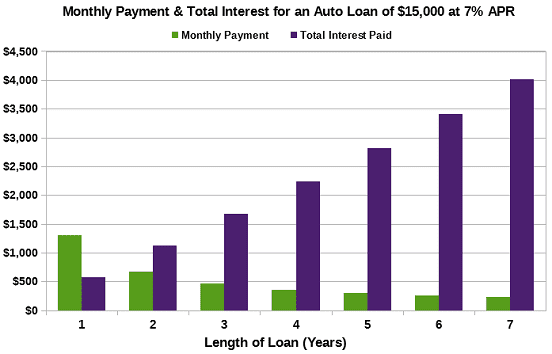 Your monthly payment will end up being a product of your interest rate and the length of your loan. While it’s tempting to take the lowest monthly payment possible, even if that means a loan that lasts five or six years, this may not always be the best strategy. Each additional month you take to repay your loan results in more interest fees, and each interest payment will add to the total cost of that loan. As an example, consider an imaginary car buyer, Penny, who obtains a car loan for $15,000, with an APR of 7%. If Penny repays her loan in three years (36 months), she’ll pay $463 a month, and her interest payments will total $1,674 over the life of her loan. If Penny chooses a longer loan, say six years (72 months), her monthly payment drops to $256, but she’ll end up giving the lender $3,413 in interest fees in those six years. On the other hand, if Penny can’t easily afford the higher monthly payment of a shorter loan, she’s more likely to miss a payment or, worse, default on her loan entirely. Not only does this mean her car could be repossessed, but her credit will suffer significant damage. The ideal auto loan will be a balance of affordable monthly payments and reasonable interest fees. Loan calculators can be a great way to crunch the numbers and find the best balance. Although some lenders may offer second-chance auto loans because they feel every consumer deserves a second chance, subprime lenders aren’t all altruists. The higher interest rates and fees mean these deals are just as profitable as they are charitable, so make sure you shop around for the best terms to ensure you don’t overpay for your loan. Poor credit doesn’t mean you have to be stuck with the first offer that comes along. Of course, the best way to get better loan terms is to improve your credit score. The more your credit improves, the better your credit offerings will become, and the more you’ll save on interest rates and fees. While it’s certainly easier said than done, improving your credit is possible with a little education — and a lot of dedication.